With Halloween officially out of the way, it's time to start getting ready for crowded shopping malls, a big credit card bill and way too much family time. 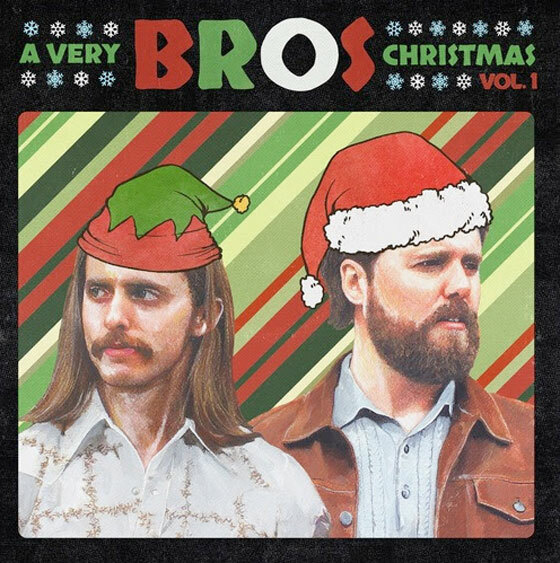 To help you get into the spirit, Sheepdogs brothers Evan and Shamus Currie have lined up a new holiday release from their BROS project. Called A Very Bros Christmas Vol. 1, the mini-release will be available on November 24 via Dine Alone Records. It will feature two original BROS yuletide offerings: "It's Christmas Day" and "Those Things Comfort Me." The two-track release will be out both digitally and as a limited-edition 7-inch for Record Store Day's Black Friday event. There will be 100 copies on red and green vinyl and another 400 on classic black. In a statement, Ewan said of writing the festive tracks, "It's fun to try and write something as classic and old-fashioned as a Christmas song. I tried to focus on the feelings of nostalgia and wistfulness that I associate with Christmases past. I took inspiration from old chestnuts like 'The Christmas Song,' 'Baby It's Cold Outside' and 'It's Beginning to Look a Lot Like Christmas.'" Shamus added, "There are two songs I think of as being direct influences on my attempts to write Christmas music: Paul McCartney's 'Wonderful Christmas Time' and Donny Hathaway's 'This Christmas.' Both songs are written by master songwriters and have a lot of classic songwriting components: interesting chord progressions, great melodies, somewhat trite lyrics. I think they both capture the warm and fuzzy side of Christmas while still being interesting enough to stand alone as good pieces of music." BROS released their debut album Vol. 1 last year.